Celebrity DUI Attorney Los Angeles | JON ARTZ, ESQ. Are DUI Checkpoints Legal in California? Courts in California supported the concept of implied consent in DUI cases. 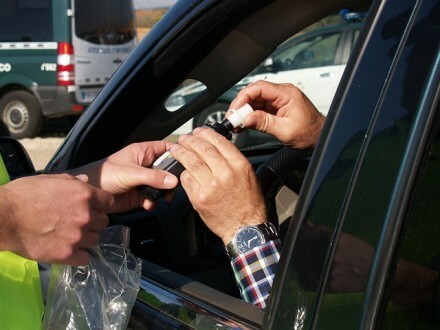 Put simply, implied consent says you are deemed to have given your consent to a chemical alcohol test just by driving a vehicle and under suspicion of DUI. This was the common situation where a police officer tells a person arrested for DUI that they have to submit to a chemical test to determine that amount of alcohol in their blood, and if they don’t comply, they will lose their drivers license. This case is significant because the Court of Appeals has now ruled that “implied consent” is no longer valid as real consent to the search. This means that an experience attorney that specializes in DUI can use this new case to argue that the chemical test results are NOT admissible as evidence. This means that the position that the courts were falling back on to support the admission of the blood or breath tests over objection, i.e. “implied consent” is no longer a slam dunk for the prosecution. If you have an experienced attorney making the proper motion, the chemical test may no longer be admissible. If so, the prosecution’s case is seriously weakened. What does this mean for you if you get pulled over? If you’ve been arrested for DUI, give me a call at 310-820-1315 to discuss your case in confidence. The fastest way to contact me is to call or text me at 310-261-7135. Otherwise fill out the form below. I’ll get back to you right away, it’s completely confidential, and there’s no obligation. © 2019 JON BRYANT ARTZ, Attorney at Law. All rights reserved.